Chic children’s boutique, Jacadi hosted a book reading of the French book, The Bear and The Sun, to celebrate the opening of their latest shop in the Flat Iron District. The reading was held in a cozy room above the store, where kids cuddled under blankets and heard the English reading of the story by Paul-Jacques Bonzon. This event was held as part of a series to introduce parents and children to Jacadi in their new location. 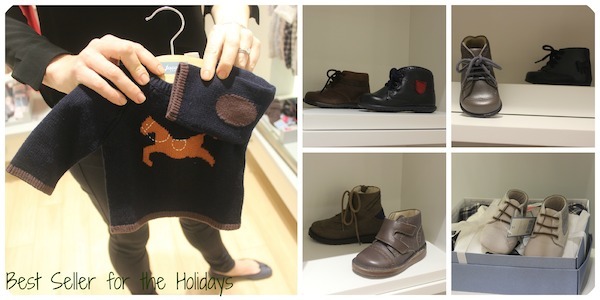 Jacadi is known for it’s chic, playful and decidedly Parisian take on children’s wear. The clothes are all designed and made in Paris. Gone are the copious amounts of glitter and cartoonish clothing that can be associated with children’s clothing. 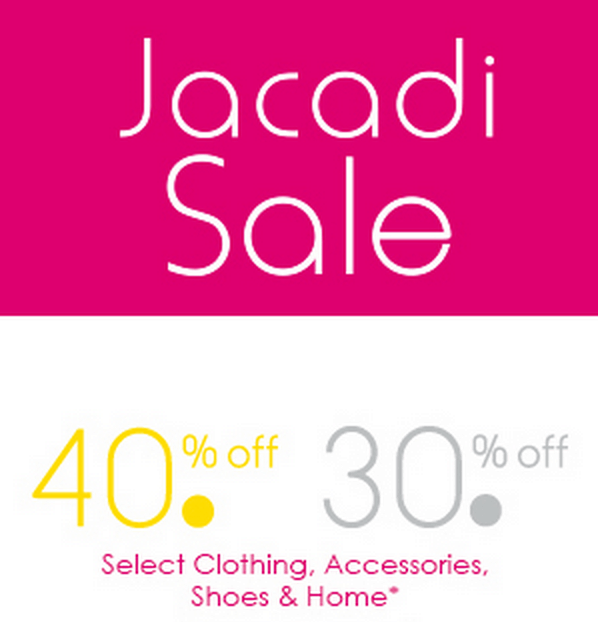 Jacadi offers an elegance that children can acquaint themselves with and develop throughout their lives. Such attention was paid to the comfort and elegance that several garments were lined with a soft cotton. Elbow Patches aren’t only for the studious. This adorable sweater hints at playfulness with a very muted color palette. There were several shoe options that would work perfectly with it. If you’re dressing a little girl, polka dots in the same color family keep the look age-appropriate without getting crazy. 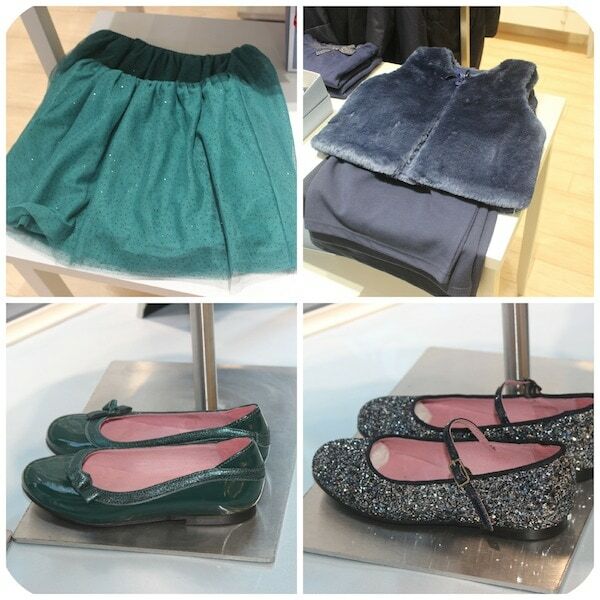 Add a dash of holiday with patent leather red flats or ankle-strap-ons for the younger age set. Marc Jacobs used liberal amounts of plaid in his last runway show. 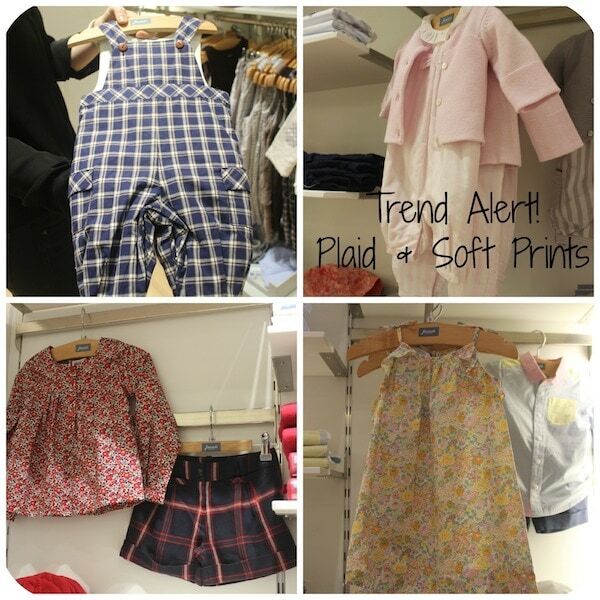 Here, it’s perfectly done in cute pieces that play with the direction of the plaid. Pair with soft prints (a Jacadi trademark) for a look that is equal parts gentle and strong. 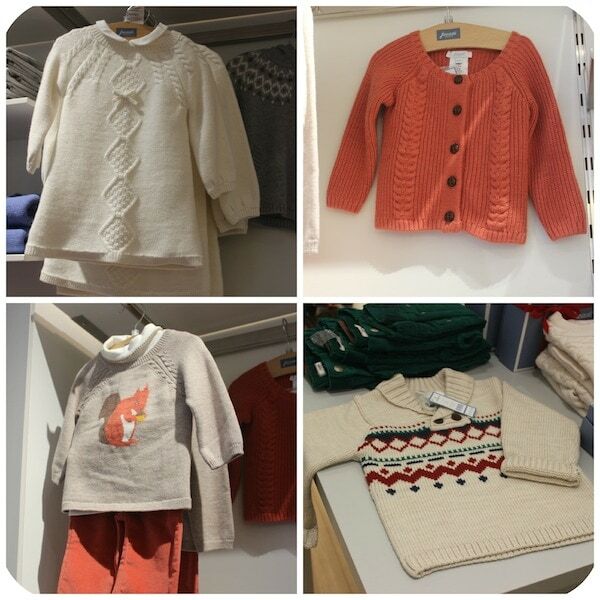 Your little one will no doubt thank you for a cozy knit during these cold months. Classic patterns and sophisticated colors make the look fun. Glitter isn’t completely against the rules! This mini green skirt is sprinkled with the stuff for a fun party item that is easy to mix and match with darker or lighter colors. Glittery Mary Janes are also perfect for holiday parties. 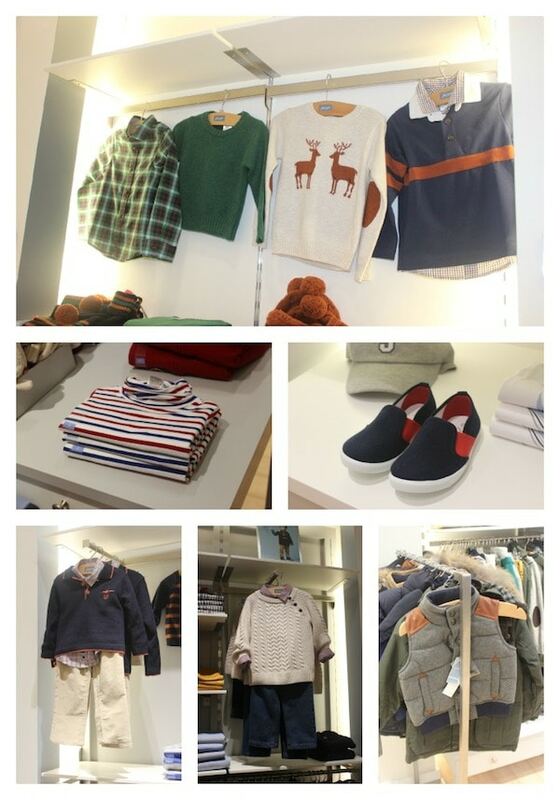 Exclusively for boys, there are fun prints, versatile stripes and puffer vests. These colors are easy to pair with others. With over 270 stores around the world, the Flat Iron district must count itself lucky to play host to this emblem of Parisian elegance for the young set. The store is located at 911 Broadway in Manhattan. You can also check out their offerings online by clicking here. Bonus: they are in the midst of an epic sale that includes 40% off certain styles.